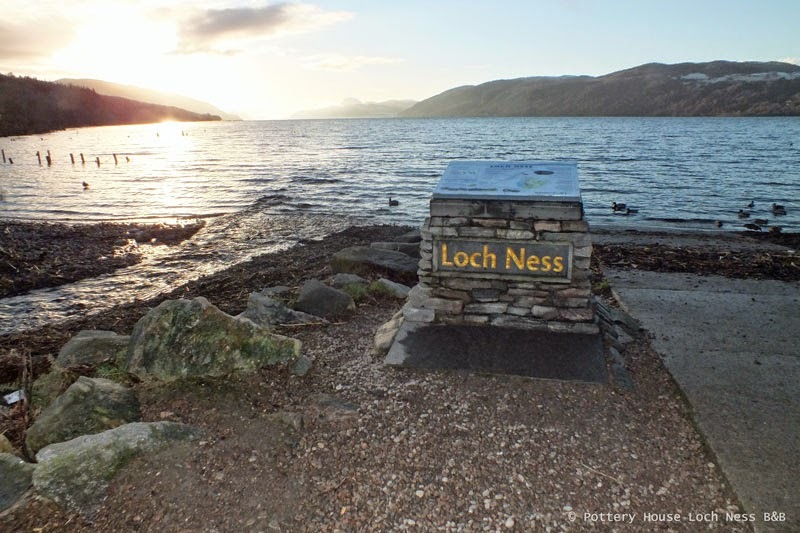 It was a beauitful cold, crisp winters day here in Dores, perfect for a walk after the excesses of Christmas. 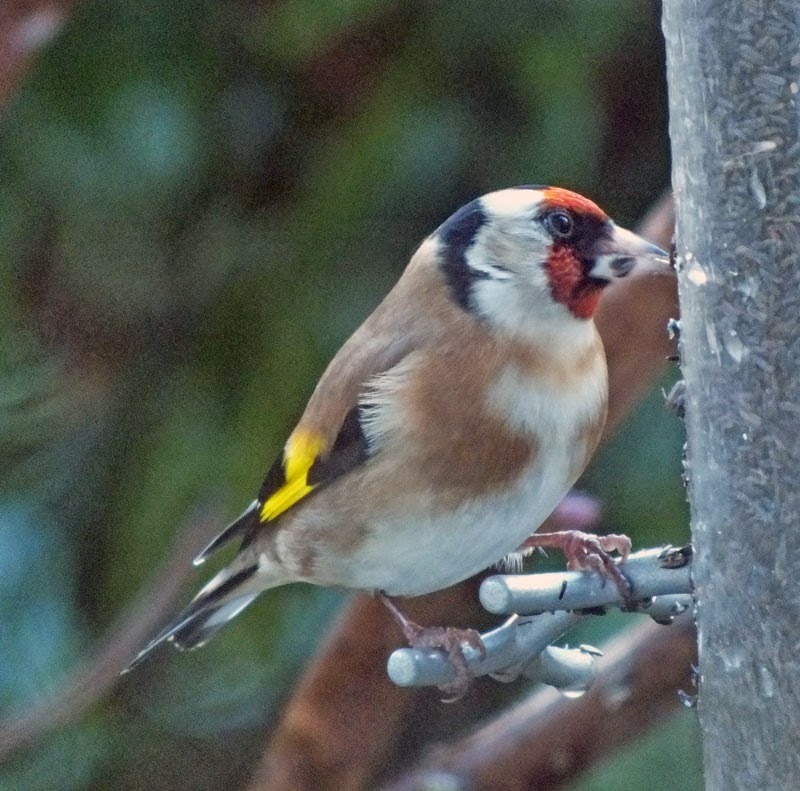 There seems to be lots of gold finches in the garden at the moment, more than we've ever seen at one time before. They are beautiful little birds, the guests enjoyed watching them at breakfast this morning. At Pottery House breakfast is always special and vegetarian dishes are for carnivores too. 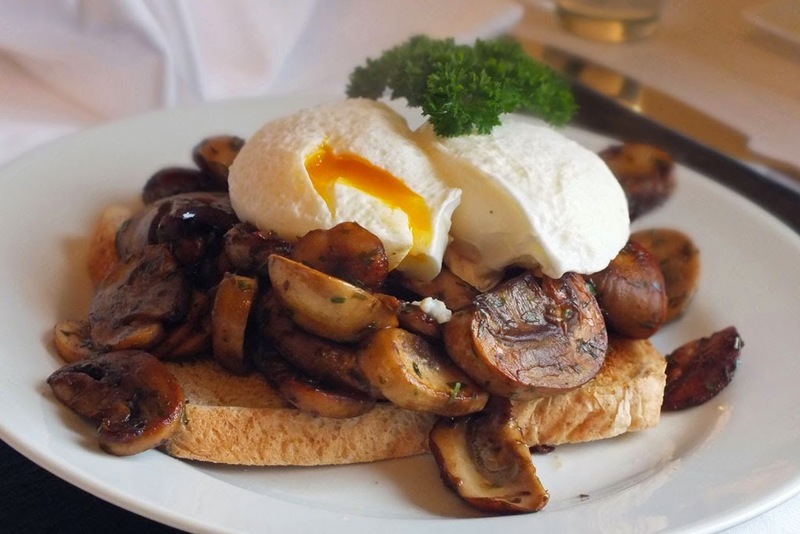 How about this mornings tarragon mushrooms on toast, topped with poached eggs. Beautiful golden yolks, eggs from our own hens in the garden. If you've stayed with us over the past year or so you probably found a welcome treat of cup cakes in your room when you arrived. 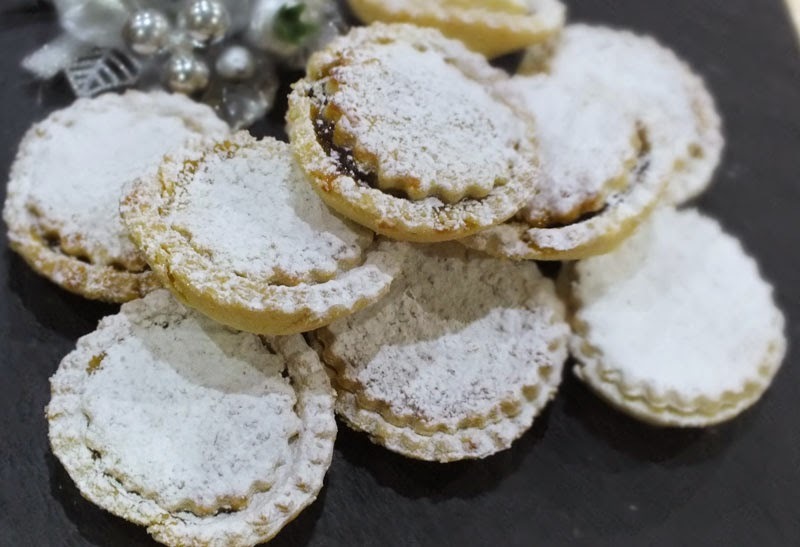 Over the next couple of weeks it will be home made mince pies, hope you enjoy them. Fishermen used our sign for firewood. Yes, you read that right, a few weeks ago our 6' roadside sign disappeared overnight. If you've stayed with us you probably remember the old red and yellow sign, it's been there since long before we bought Pottery House and that was 10+ years ago. We searched up and down the road thinking someone might have carried it off but can't have got far because it was so heavy, no luck. So we went down by the waters edge to see if it was there and we found some remains of our sign in a fisherman's fire. So as of this morning we have a brand new sign. It's cream and green this time, looks more stylish than the old red/yellow. We think it looks great, we're very pleased with it. 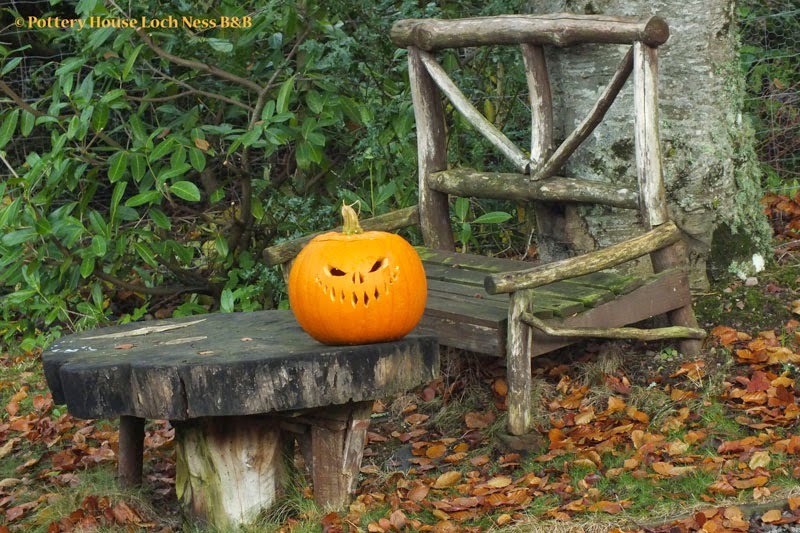 Halloween may be over but the pumpkin still looks good nice under the copper beech tree with it's autumnal colours. Falls Of Foyers at their most spectacular !! We had a couple of days of heavy rain early this week, which meant the Falls Of Foyers, a few miles down the road, where at their most spectacular!! We had a lovely afternoon at the Falls Of Foyers and Fort Augustus a couple of days ago. 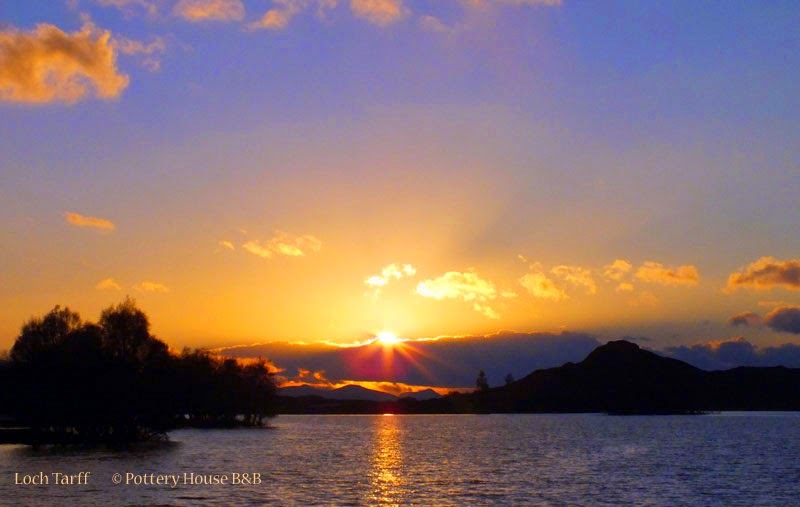 As it was getting dark we drove along side Loch Tarff and couldn't resist stopping to see and photograph the sunset over the water. 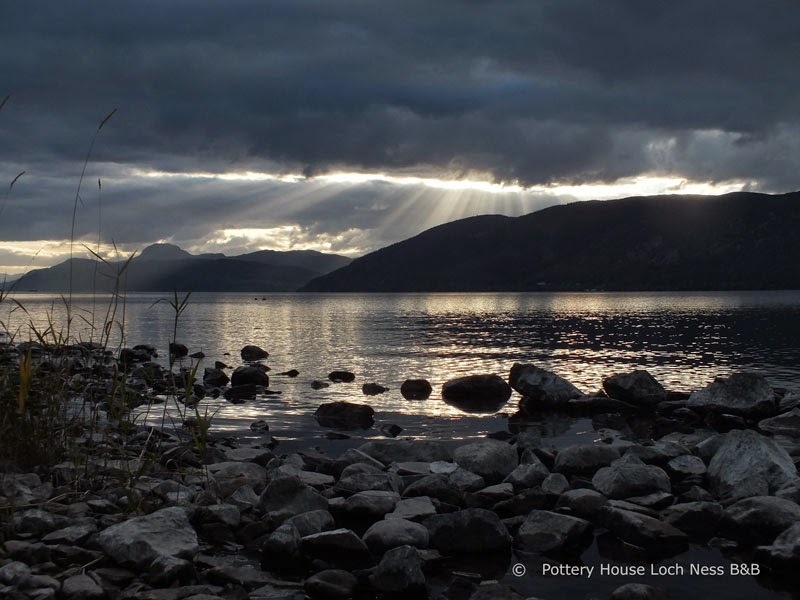 We've been seeing the most amazing rainbows over Loch Ness this morning, all the guests have been taking photos out of the breakfast room window. Vivid colours, full arcs and doubles. Yesterday was a horrible day here, didn't stop raining all day. However today is the exact opposite. Something new at the Pottery House breakfast table. Lemon Marmalade, never made it before but it's turned out really nice. Not everyone wants a large cooked breakfast in the morning, at Pottery House we have lighter choices too. 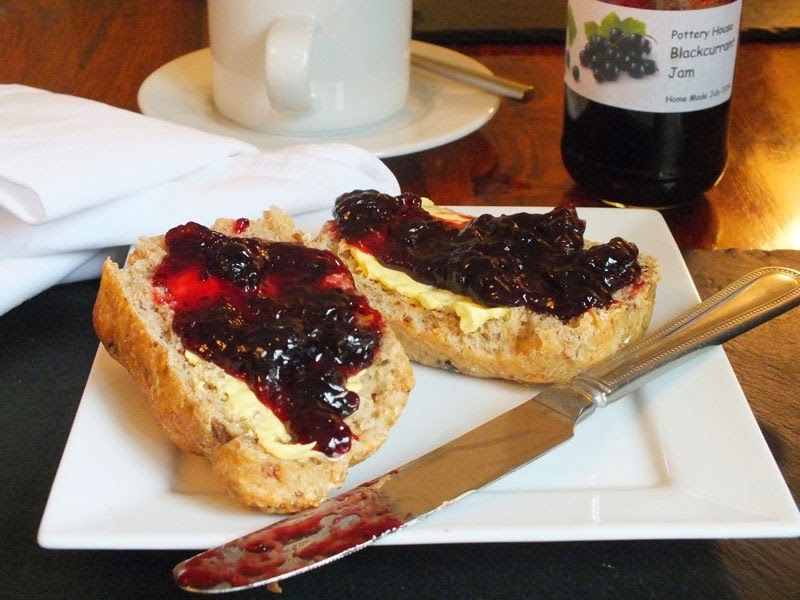 How about soft granary rolls, baked fresh each morning, spread with fine Scottish butter and home made blackcurrant jam. Yum!!! It's fruit time again. Been to Tollie fruit farm this afternoon. Lots of strawberries and blackcurrants. Now it's time to make more jam. I love black currant jam, it's my favourite. Promised the lady there a jar of our grapefruit marmalade. Must remember to take one with us when we go back for gooseberries next week. It's that time of year to make the strawberry jam for the next 12 months. 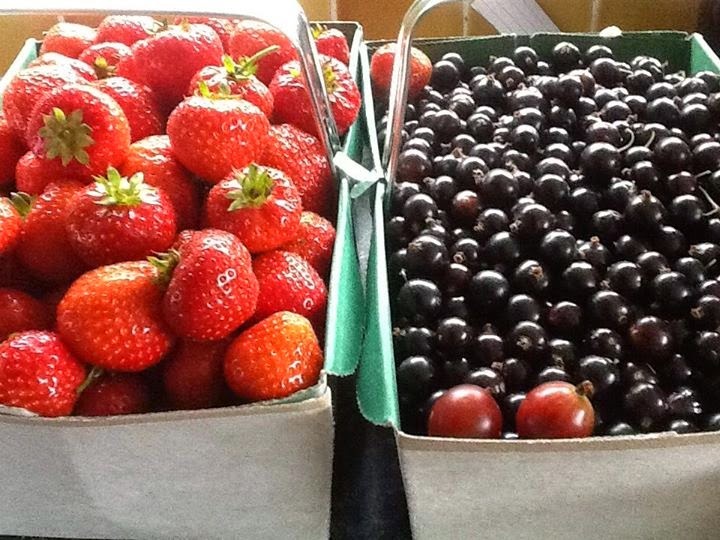 Only this year the strawberries are extra special as we grew them ourselves, on our allotment. They are super sweet and flavoursom so the jam should be gorgeous. Watch out for the jam at breakfast time, and if it's not strawberry out in the morning and you'd like to try it ask Glen. 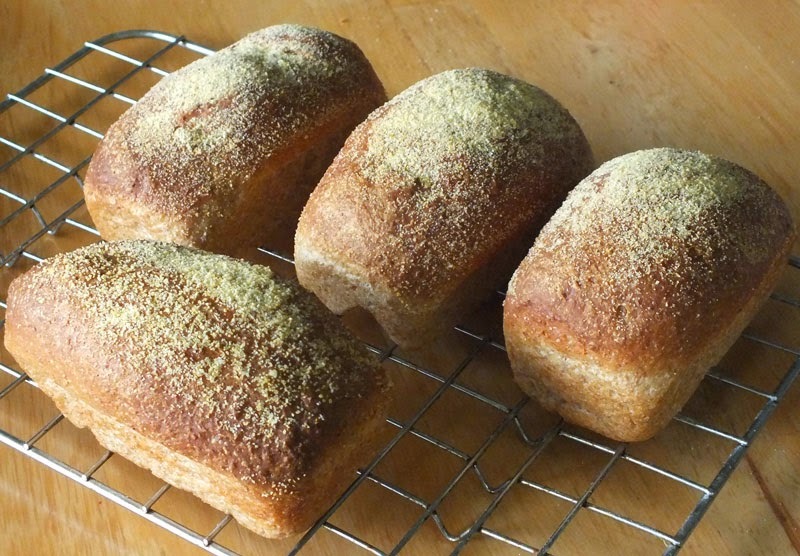 This mornings rolls are wholemeal and polenta, I find wholemeal rolls don't usually rise as well as white, but this mornings look delicious though I say it myself. 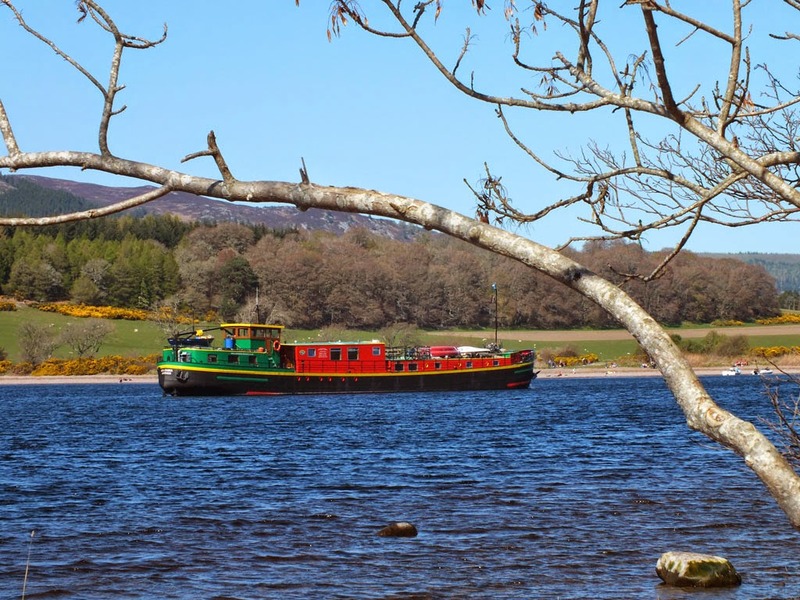 We had a trip out on Saturday, to visit The Black Isle. Although the weather was a little dull we still had a great day. Our first aim was to have lunch in Sutor Creek, which is a lovely restaurant in Cromarty that specializes in pizzas cooked in a wood fired over. Unfortunately they were full ( must remember to book next time ) so we had a very nice lunch in their new tea room on Church Street. 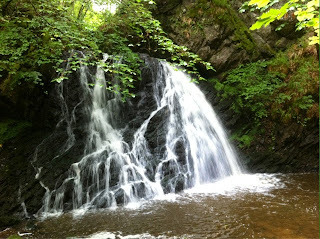 After a walk around Cromarty we headed for a walk around the RSBP nature reserve, Fairy Glen. It's great to see the pond there looking so mature, we remember when they first dug that out. After Fairy Glen we stopped off at Chanonry Point, bought ice creams (a 99 each), and sat on the beach to see if we could spot the dolphins, alas only a couple of quick glimpses quite a way out. Then it was back to Base, if you're stopping at Pottery House, The Black Isle is definitely worth a look around. Wahoo!!! 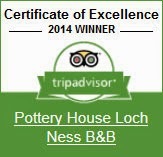 Just found out we've received a certificate of Excellence from Trip Advisor for 2014. Thank you to all those who left reviews. So many hotels charge extra for breakfast, and then it's dried up cheapo items sitting in hot trays for hours. At Pottery House B&B the 2nd B stands for Breakfast and that means it should be a treat to start the day. One of this mornings options was home made potato scones with scrambled eggs and bacon. 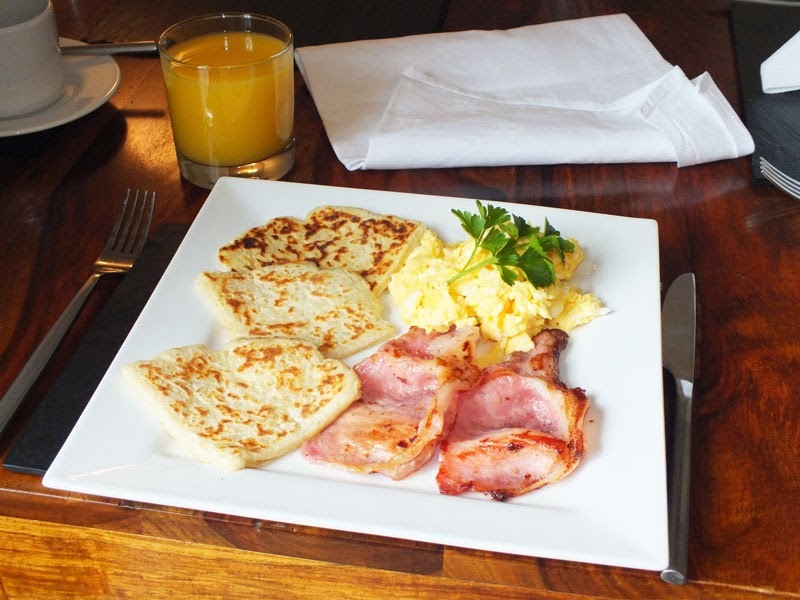 That's bacon from a local family butcher, fresh eggs from our own hens and potato scones made from potatoes we grew ourselves. Yes, the potatoes used to make these scones came off our own allotment in Dores. Yesterday was the 10th anniversary of the day we collected the keys to Pottery House and moved in. It's been a wonderful time and I can't believe how quickly it has gone. 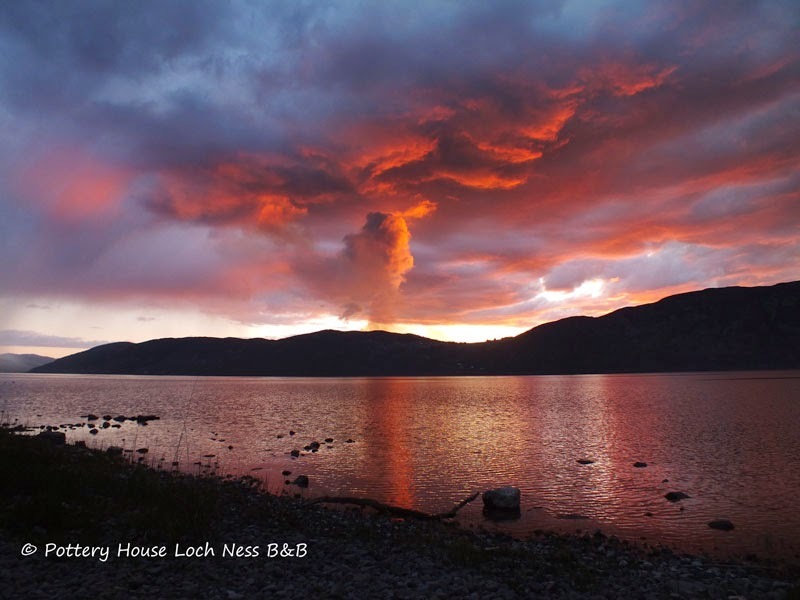 Yesterday evening there was a hill side fire on the other side of Loch Ness from us, combined with a spectacular sunset. The effect was like something out of a Sci-fi movie, I've never seen anything like it. 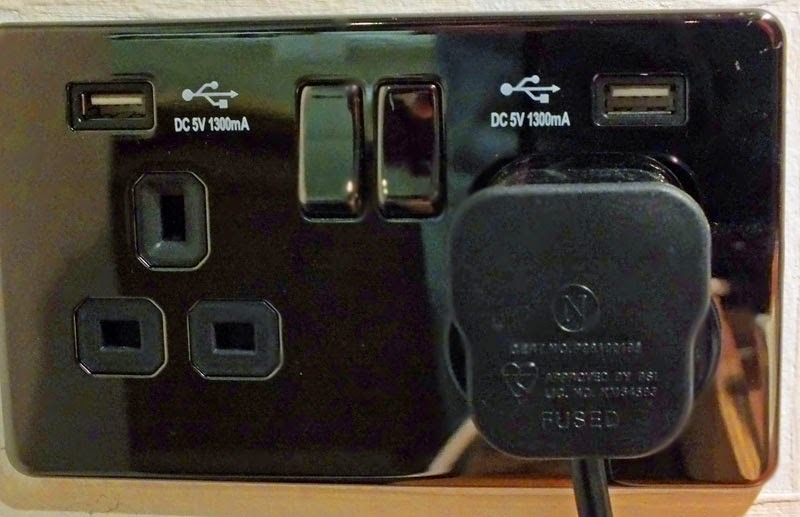 We've just installed wall sockets in all our guest rooms with built in USB charging points. No need to remember your charger, just plug the USB cable straight into the wall. And because each socket has two USB ports you can charge your phone and your tablet at the same time. We've had beautiful weather this Easter weekend, even Dores beach was busy with people enjoying the sunshine. And the wild flowers are starting to show through too. 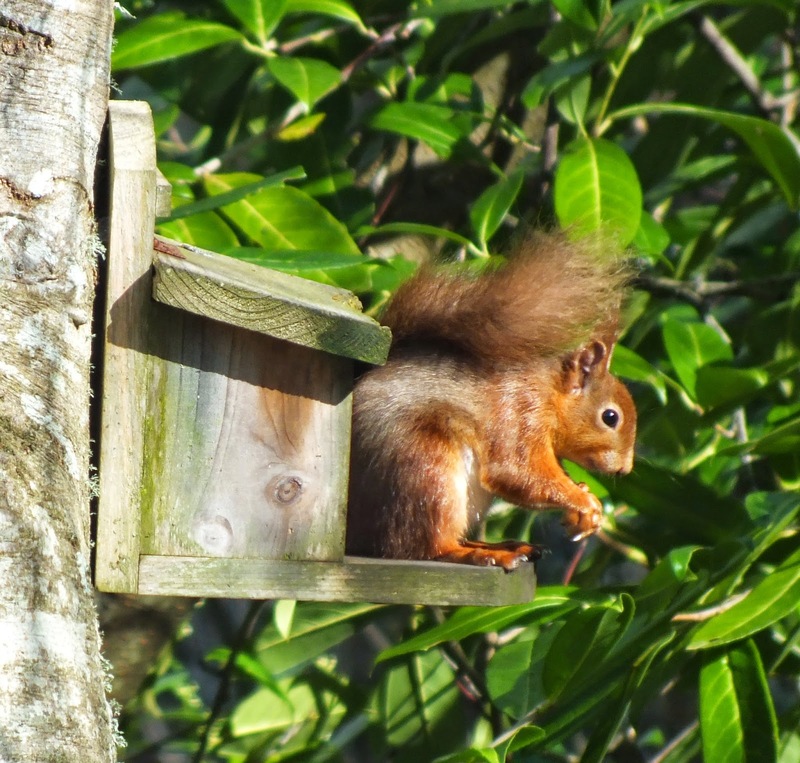 Haven't seen any red squirrels in the garden for a few weeks, but they were back today. Took this photo this morning. We've been planning for a while to upgrade the front premium double (the old twin room) and over the past week it has all come together. We think it looks brilliant, we hope you do too. The marmalade oranges are currently in the shops, but they don't last long. So now is the time for us to make marmalade for the summer season. Tried a new recipe this year, hope it's ok, tastes great to me. We even have a few jars left over for sale, if any guests would like them.